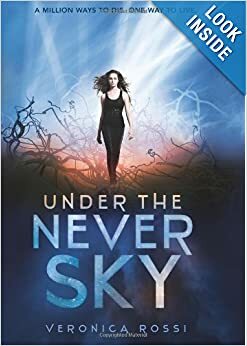 It wasn't until recently when I reviewed Under the Never Sky by Veronica Rossi (a fantastic book of which you can get for $2.99 on Kindle this month! Don't say I never do nice things for you.) that I noticed an oddly specific situation that has sprung up in YA books. I have since dubbed it Technological-Dependent Girl Falls in With Tribal Boy. 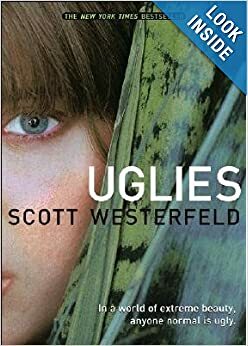 I'm not saying these books are bad. Far from it, all three books I will be using as examples are in my top favorites. Rather, it is just something that I decided to sit back and really think upon. "I'd better ready by Thinking Pipe, just in case." Let's start with Under the Never Sky (did I mention it's a super awesome story at only $2.99 for Kindle this month? Cool girls never look back at explosions... or.. whatever that stuff is supposed to be. Aria has grown up in an environmentally-sheltered dome that has circulated air, computers, and all kinds of advanced technology. She even has a communicator implanted so that she can stay in constant communication with all of her friends and the like. Through certain circumstances she is booted out into the harsh real world, etc etc, disguised as a metaphor for growing up. We all know how it goes. Perry, meanwhile, is literally tribal. We're talking a character who is considering killing his brother so that he can take over as leader of the tribe. He's surrounded by a world of firestorms, cannibals, wolves, and anything else that might decide to kill him at a moment's notice. I refuse to use the latest cover. David has lived at what is basically a campsite his entire life. He knows hunting, logging, and survival among the ruins of what used to be civilization three hundred years ago. One of many, many, many covers. 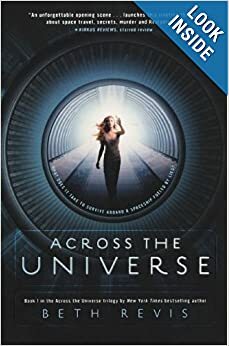 Across the Universe by Beth Revis is a little bit of a mesh between the two. Amy is cryogenically frozen, so she's behind the times in a lot of ways. Granted, she lived in a world technologically advanced enough to allow cryogenetically freezing people. Elder, meanwhile, has kind of a combination of technology and tribalism. While he is board a starship, and they have made advancements since Amy was first frozen (approximately 100-ish years ago. I can't remember if the story actually says how long. ), but there is also a lot of farmland and cattle and a general alien feeling of each other's worlds. Heck if I wanted to make a guess and throw a wild card into the mix that I haven't read (yet), it would be Delirium by Lauren Oliver. Correct me if I'm wrong, but my Reader's Sense tingles at the mention of this book following this theme. "What?" You're probably thinking to yourself as you spew coffee at your screen. "How can inanimate objects lean towards a certain gender?" And that's fine, we all like things pleasing to the eye. But rarely do you hear masculine adjectives being used to describe computers: tough, hardy, durable. With maybe the exception of the word "Powerful." Maybe it's just my opinion, but it seems like we want our technology how we want our women-folk. I don't claim accuracy in my rantings, just opinion. What about the CROODS ? A rare exception to the rule?